This Les Paul Custom (serial number 537837) recently appeared on an auction at JuliesLive.com, eventually selling for around $50,000. 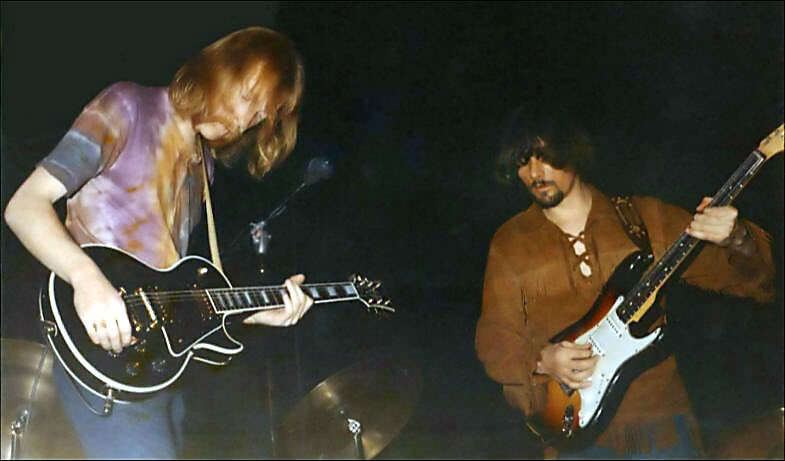 According to the official statement on the website, it was owned by Duane Allman and later his brother Gregg after Duane’s untimely death. In 1993 it was acquired by Larry English, former executive vice president and director of Gibson Guitar. The guitar is signed with a gold marker on the front of the body by Gregg Allman, and the back of the body reads “Donna I Love U” carved into the body by Duane. The pickup covers on both of the pickups are removed, and the neck pickup seems to be replaced – based on the presumption that both pickups should be black on a stock 1968 Les Paul Custom. The control knobs on the guitar are also not original as the three of them are the reflector knobs, and the one remaining is a barrel knob. As far as putting the guitar in Duane’s hands retrospectively, there’s only one photo known to us of Duane holding a Gibson Les Paul Custom dating back to circa 1970. That guitar, however, seems to be completely stock and doesn’t look anything like the 1968 Les Paul Custom sold on the auction, but of course, there is a possibility that the mods occurred during this forty plus years period. If you have any way of connecting these two guitars together or debunking the theory that they are actually one same guitar, please be sure to contact us using the form at the bottom of this list. One thing that’s worth pointing out is that the knobs seen on the guitar Duane was playing in the 70s are the ones that were fitted on models made from 1968, more known as the “amp” knobs. [Vintage Guitars Info’s Gibson Solid Body Model Descriptions – GuitarHQ.com] This means that the guitar was likely a 1968 model, which is, of course, the same year when the guitar that was sold on Julies was made – therefore linking the two together.